Best fishing ever had by 4 French Anglers who has visited Cavan 27 times over the years. 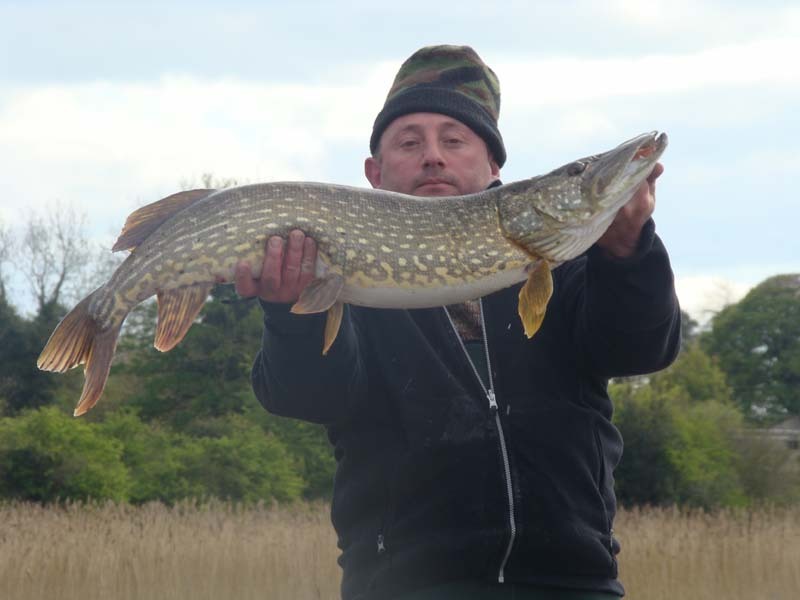 They caught 535 in 10 days in the heart of the lake district in Cavan. Pike fishing they said never was so good as now, weather excellent and the best holiday they ever had, Fish all day and relax with wine and fine dinni ng in the evening. DEUX SEMAINES DE PURE BONHEUR ET DU PIKE AU RENDEZ-VOUS A CONDITION DE LES TRAQUER L’ IRLANDE N’EST PAS UN AQUARIUM GEANT ACCEUIL SUPER CHALEUREUX. nous pensons revenir en avril ,juste les dates à définir.